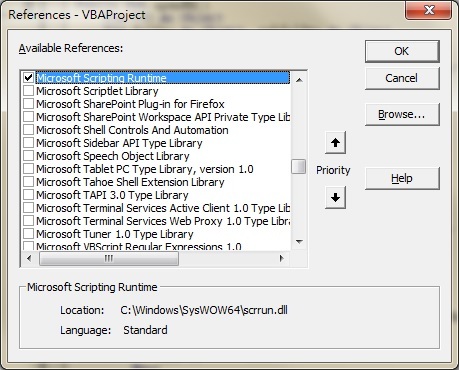 This Access Excel VBA tutorial explains how to copy workbook or file. I have explained how to use different FSO Methods in my previous post, click to see more details. source Required. Character string file specification, which can include wildcard characters, for one or more files to be copied. destination Required. Character string destination where the file or files from source are to be copied. Wildcard characters are not allowed. overwrite Optional. Boolean value that indicates if existing files are to be overwritten. If True, files are overwritten; if False, they are not. The default is True. Note that CopyFile will fail if destination has the read-only attribute set, regardless of the value of overwrite. The below Procedure copies a File from Desktop to C:\test\, overwriting existing File. Note that this is FileCopy Function, while the above example demonstrates CopyFile Method. Click here to see the difference between Function and Method. Destination Required. String expression that specifies the target file name. Destination may include the directory or folder, and drive, of the destination file. Same as the above example, the below Macro copies a File from Desktop to C:\test\, overwriting existing File. Note that FileCopy Function does not require FSO object, I declare FSO in order to use the FSO.FileExists Method.